Wix is one of the most popular and easy website builders. When you want to add the RumbleTalk chat into your Wix website, simply add the chat using the Wix app. 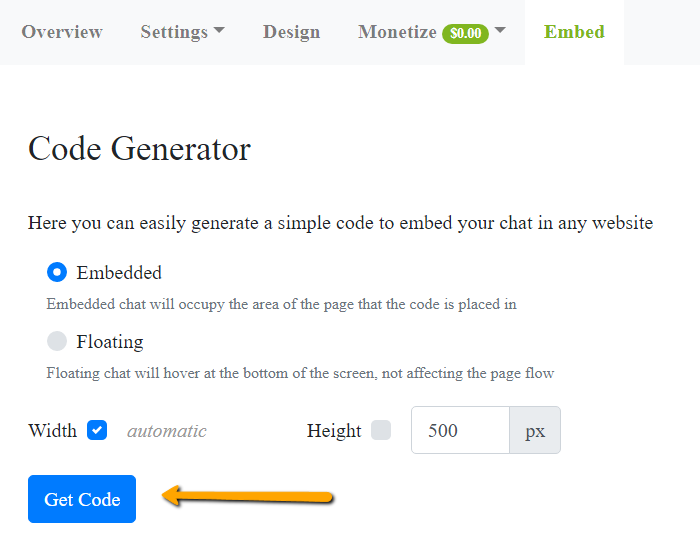 If you have any issue adding the chat via the wix app, you can try this alternative option, add the chat code as html. 1 – First create an account with RumbleTalk.com (sign-up). 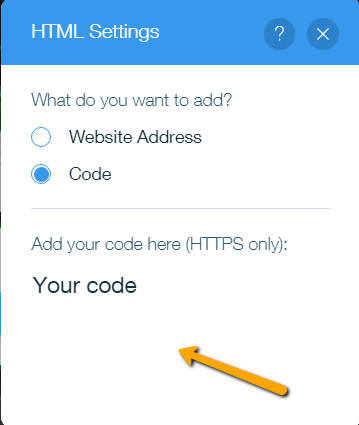 2 – Get your code from RumbleTalk admin panel, Embed –> Code. **note, the floating version will not work on wix. 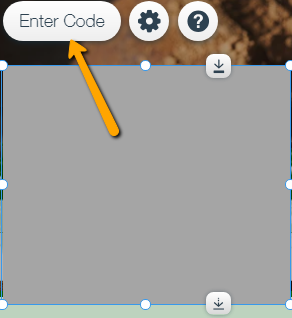 4 – Choose the window that was opened and then click on Enter code option. 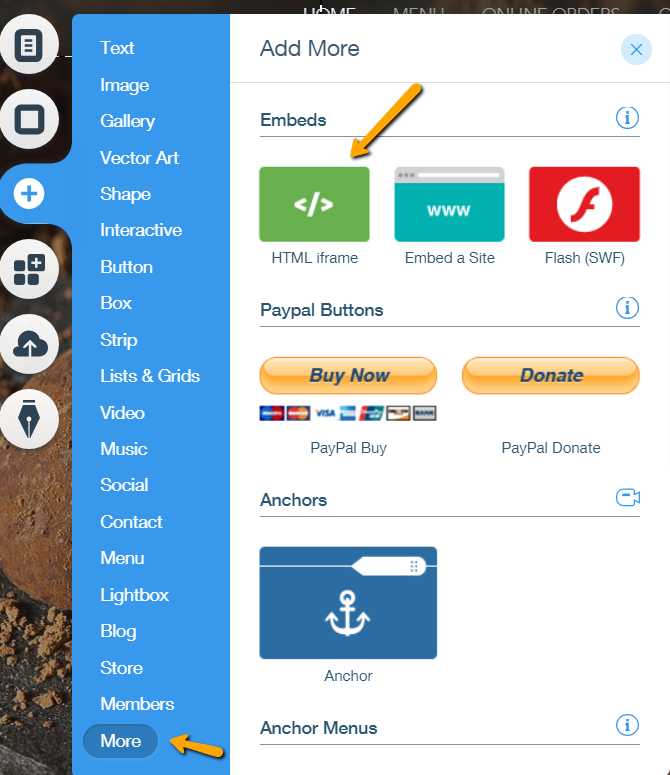 5 – Now choose in the left bar the HTML code option. Paste the code and save. you’re done! Previous postHow your users can control their chat profile and access?